I’m one of those grody girls who don’t shave much in the winter. I actually don’t usually shave more than one a week unless I’m expecting a hot male to be in my presence. Obviously, while taping The Bachelor that was a common occurrence so I shaved during every shower. With the help of the following products, I was able to avoid irritation and red bumps. This five blade baby doesn’t even feel like a razor. It feels like your finger against your skin. There’s no friction! There’s no irritation. 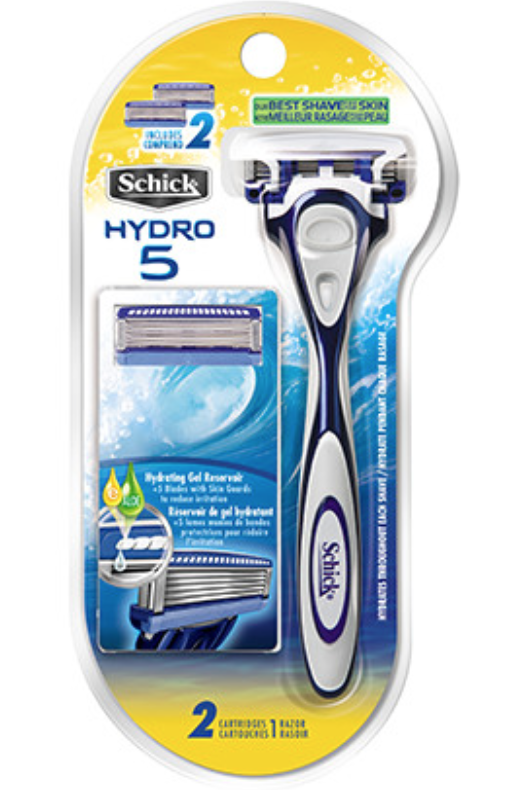 Men’s razors, like this one, are meant for their faces. (Obviously.) Facial skin is more delicate that leg skin, so I always believe they’re gentler on skin than women’s razors. Sometimes if I’m just doing a quick shave, I won’t even use cream with it. Don’t trust me yet? Read these reviews. BUY HERE. If you’re on the hairier side AKA haven’t shaved for over two weeks, I would recommend Bic’s Soleil Bella instead. It’s particularly good at dirty work. I’m not a scientist. I don’t know why this creates a smooth, comfortable, nick and bump-free shave. They claim it has to do with the rich quality of the cream. It’s not an airy foam like most other shaving creams and gels. It has some funky instructions though. You have to run hot hot water on the area for 30 seconds before application and use just a little bit, like a quarter size on each leg. At around $9, it’s a tad pricer than most other creams, but it’s highly concentrated so this tube lasts forevaa. So glad to know I’m not the only one that tends to slack off a little on shaving during the winter :/ Shaving and goosebumps are the worst!